It seems like only yesterday that we were in Vancouver for the Spring OpenStack Summit and it’s already time to start turning our attention to Tokyo for the Fall summit. Tokyo will be my first Summit representing Platform9 as their Director of Technical Marketing and Partner Alliances. An important aspect of any Summit are the breakout sessions where new ideas can be heard and lessons learned can be shared within the OpenStack community. Decisions about which talks are chosen among the many that are submitted are made by ad hoc track chair committees. Each committee is comprised of members of the community who meet through the month of August to decide which talks will be be part of the Summit agenda. A key factor in the decision making process for the committees are the votes received for each submitted talk. As a former track chair, I can confirm that the voting is an important component though not the only one in the decision process. Sometimes the vote count serves as a filter to reduce the number of talks to be considered. In some cases, vote counts serve as a tie-breaker between two talks. In other cases, vote count is a weighted factor among others in a committee’s decision making matrix. In all cases, voting is important as a tool to help the various track chair committees. 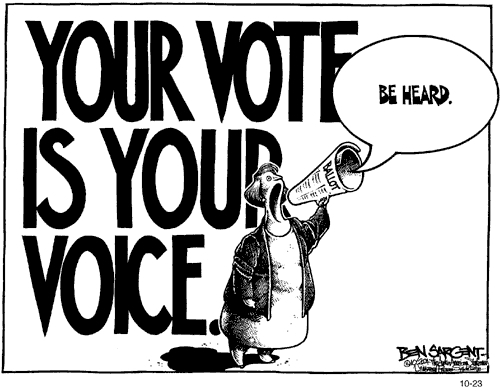 For that reason, all OpenStack Foundation members are encouraged to vote. For those unfamiliar with the process, community voting began on July 23rd and will run for one week until 11:59 PM PDT US time on July 30th. Please note that you do need to be a OpenStack Foundation member in order to vote; If you are not currently a member, you can easily register for membership via the OpenStack website. Below are talks that I’ve submitted for the Summit, presented for your consideration. I’ve provided the links to vote for each talk and a brief description of each talk. You can read the full abstract by following the provided links. Besides talks I’ve submitted in conjunction with my Platform9 colleagues, I’ve also submitted a number of talks with others in the OpenStack community. I’ve also included Platform9 proposed talks that I am not a speaker for but I believe would be of great value to our community. Description: OpenStack Ambassadors connect the user groups to the Foundation. They help initialize the groups and guide them to grow. Ambassadors can give feedback about all the OpenStack community. Meet with the ambassadors on this session where they will introduce the improvements of the last half year and share their feelings and experience about the community. Title: Ask the Experts: Are You Ready For Containers? Description: Persistence has been a popular ask in the Docker community and thanks to Flocker it is now possible to meet this need using any OpenStack Cinder storage provider! Join us as we give an overview of what is Flocker and how it connects Docker containers to storage providers that support the OpenStack Cinder API. We will show how these capabilities can be applied to manage stateful microservices in a way that enables both container and data mobility. Description: This presentation describes Platform9’s journey to move from a full VM-based to a container-based architecture for our OpenStack SaaS solution. Along the way, we’ll talk about lessons learned from using OpenStack to manage our “MicroVM” based OpenStack architecture. This will include discussions on the challenges and benefits of using different container management solutions in OpenStack such as Nova-Docker and Magnum. Description: OpenStack continues to grow exponentially as the de facto standard for open source Cloud platforms. But how can someone quickly get started with learning this exciting new technology? This workshop will walk participants through an overview of the OpenStack components and offer practical suggestions and resources for learning OpenStack. To demonstrate one way to get started, we will assist workshop attendees to set up a multi-node OpenStack cloud, on their laptops, using the RDO distribution. Title: Is OpenStack’s Future Still In The Cloud? Description: OpenStack is more and more the darling of the Enterprise world. Over the past few years that’s changed the development priorities of the community. With increasing adoption of OpenStack by enterprise customers coupled with the consolidation of OpenStack startups, OpenStack is a changing landscape. In this free-flowing discussion 3 very experienced stackers will discuss the future of OpenStack and what it means for deployers and users. Description: One of the most important tasks that a cloud operator needs to focus on, after deployment, is effective monitoring. Join Blue Box and Platform9 to hear from two leading managed OpenStack providers who are specialists in operating OpenStack clouds. Find out how we monitor our customers’ clouds and the lessons we learned from being in the trenches of deploying OpenStack in production. Description: QA and Testing require running workloads repeatedly. Using nested virtualization is one way of solving the problem of destroying and recreating environments quickly and efficiently. We will talk about challenges and lessons learned at Platform9 using OpenStack to create and run test workloads using nested virtual machines. This includes solving issues such as networking issues related to nested virtualization such as ibvirt network filters (nwfilters) and linux bridging modes. Description: Platform9 uses an automation tool called Ansible to manage OpenStack clouds on behalf of our customers. Learn how you can use Ansible to install, configure and upgrade OpenStack in a production environment. The discussion will include talking about how we can make OpenStack deployments and upgrades painless and simple. Description:The Block Storage project (Cinder) is often overlooked but can be critical in an OpenStack deployment. In this presentation, we will walk through not merely the basics of Cinder, but show how Cinder is being deployed today and provide some use case examples and demos! Description: What value does managed OpenStack offer versus a supported OpenStack distribution or simply using trunk? One of the primary objections to deploying OpenStack at scale is that there is not enough trained OpenStack talent available and in the market and that the cost to hire/train offsets any gains in efficiency or TCO OpenStack has to offer.Join a panel of industry veterans as they discuss the relative strengths and weaknesses of distributions versus managed OpenStack and the questions you should be asking yourself as you plan your OpenStack deployment. Title: Up Your Availability Game With Cinder Data Services! Description: Cinder has been evolving with each release (thanks to a very active developer community). In this session we will cover the options that enable greater availability for workloads by leveraging Cinder cloning options, volume replication, and the newly added multi-attach functionality. We will cover a brief overview and conduct a demo for each feature based on a popular use-case. Description: Much of the attention and information on OpenStack is around design and deployment. While that’s obviously critical to get started, what happens after you go live? In this session, we’ll help you gain understanding into the challenges, pitfalls, strategies, and best practices that successful OpenStack operators navigate every day. I believe this is a very strong slate of talks and workshops. I look forward to sharing with everyone while we are in Tokyo.